This summer enrichment program is created and led by a licensed Speech and Language Pathologist and Occupational Therapist. The two week program emphasizes fine and gross motor development, self-care skills, socialization and language development through activities that promote thinking and learning. Each week will have a different theme that encourages creativity and motivation. Our goal is to help your child grow and help them believe they can accomplish their goals. 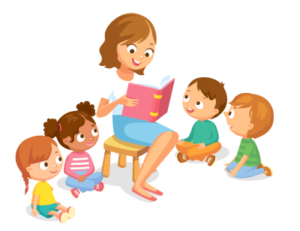 Groups are assigned based on the child’s developmental level. Morning Group Meeting: Everyone will sit in a circle, greet each other, share news, talk about the weather and discuss activities and themes for the day. 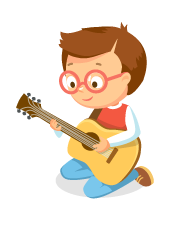 Story Time/Music: A short story will be read relating to the theme of the week. Questions will be asked to keep the children engaged and make sure they have an understanding of the story. Based on the story, we will sing related songs, move and talk together with our peers. Craft Time/Cooking Class: The craft will reflect the theme of the week. This is a great opportunity for everyone to improve their fine motor skills because they will be coloring, cutting and gluing. Children will also enjoy making meals together, learning and developing skills, trying new foods and making friends while following recipes geared for their age group. Snack time: Everyone will enjoy a quick, healthy snack. AM Structured Game/Activity/Gross Motor/ Sensory Play: A structured group activity, based on the theme of the week, will take place. This may include board games, puzzles, blocks and more. The goal is to have all of the children work together and promote socialization while having fun. Group meeting/ Wrap Up: Everyone will sit in a circle again and talk about their favorite part of the day.